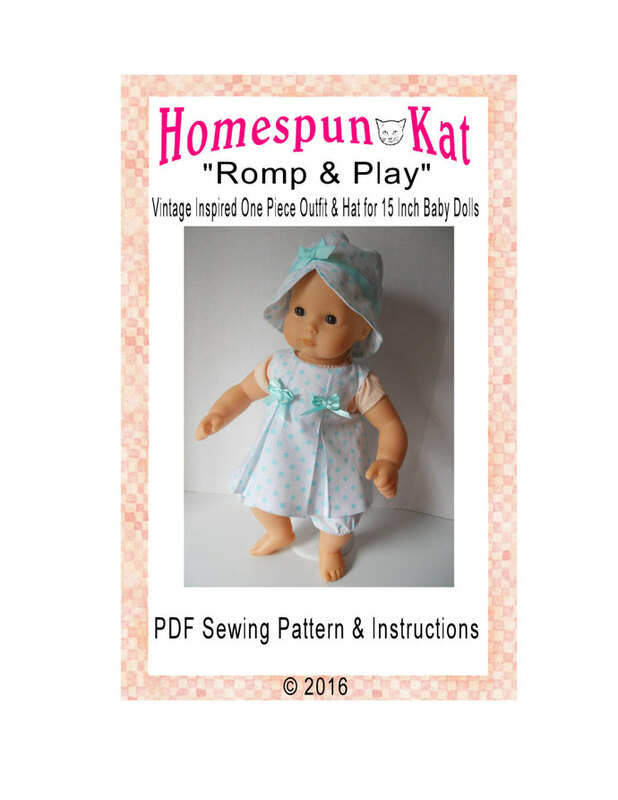 Vintage Inspired Baby Romper Outfit for 15 Inch Baby Doll Clothing Pattern in a PDF Digital Download. 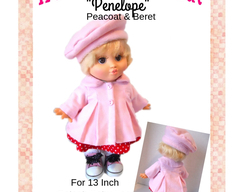 This is a PDF digital download which includes instructions and pattern pieces to create a cute one piece romp and play outfit with a matching hat for 15 inch baby dolls. 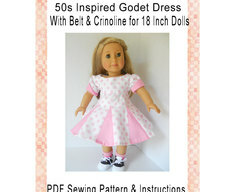 Complete instructions with lots of photos and the pattern sheets. 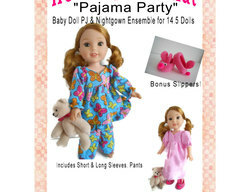 Doll and outfit are not included. 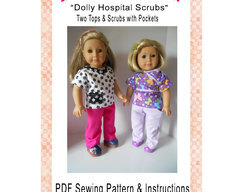 I am not affliated with American Girl in anyway, or any doll company.